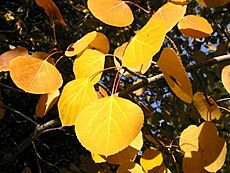 Autumn colour of Populus tremula. Male flowers (catkin) of Populus tremula. 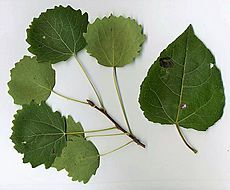 Aspen Facts for Kids. Kiddle Encyclopedia.